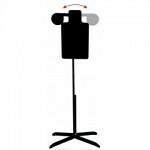 Action Target is pleased to announce the release of the new 45 Degree Static . Now you can shoot on steel with high-powered rifles at close range! The 45 Degree Static is the newest member of the AT Static family. With an AR 550 armor steel head plate slanted at 45 degrees, this static target is specifically designed for shooting high-powered rifles* at close distances. Most steel targets, even those made of AR550 armor steel, don’t stand up well to the power of rifle ammunition when shot from distances closer than 100 yards, but the 45 Degree Static’s unique design allows it to absorb the impact of high-powered ammunition from as close as 50 yards. The 45 Degree Static uses a high angle of deflection to force bullet fragments down toward the feet of the target. Because the steep angle of the target spreads bullet impact over a larger surface area, the 45 Degree Static is perfectly capable of handling .223, .308, and even slugs from only 50 yards, giving you greater training freedom in a smaller area. 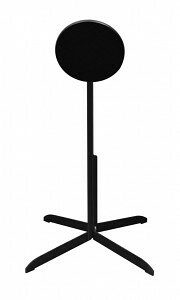 The head plate is 14” tall and 12” wide making it elliptical in shape, but the steep slant makes it appear perfectly round to a shooter standing 50 yards away. 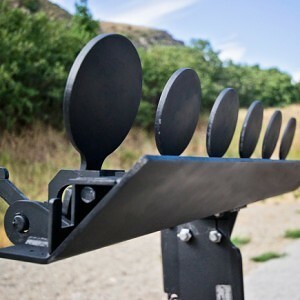 Just like our standard AT Static targets , the head plate of the 45 Degree Static is mounted to the stand so it bounces when hit, giving you immediate visual feedback and positive reinforcement for accurate shots. 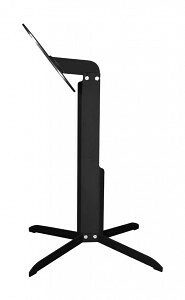 The head plate of the target is completely flat with no exposed bolts, clamps, or brackets to cause unpredictable splatter when inevitably hit, and the low profile bullet-shedding stand helps make this one of the most durable targets on the market. *The 45 Degree Static is made of 3/8” thick AR550 armor steel and is designed for use with ammunitions that have a muzzle velocity less than 3,000 fps. Using ammunition that exceeds this limit may result in damage to the target. 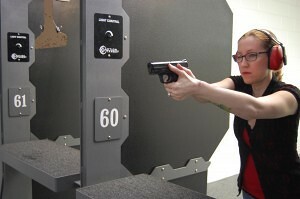 When it comes to shooting ranges, bullet containment is the paramount concern. As we discussed in our last article, the appropriate bullet traps and safety baffles need to be in place in order to keep your customers and employees safe. That means bullet traps that reliably collect and store bullets and allow for safe disposal of collected lead. That also means ballistic paneling on the walls and ceilings to ensure any shot that misses the bullet trap has no chance of exiting the building. But once you’ve established a strong foundation with the help of Action Target, you can move on to the more glamorous aspects of building a shooting range, like target retrieval systems and computer controlled reactive targets. Here at Action Target, we provide a wide array of shooting range equipment from moving targets and shooting stalls to sound abatement and ventilation. With the help of our many corporate partners, we do our best to give you the most complete shooting range package on the market. With the assistance of our business partner Mancom, Action Target has worked to provide several different target retrieval systems to meet the specific needs of customers. 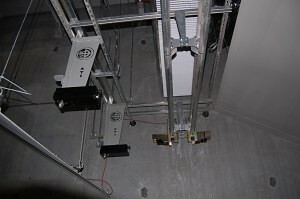 Our Standard Smart Target Retriever eliminated the problem with sag and sway that are inherent in many cable guide designs with the use of a rigid steel track and armored trolley system. Distance control is also made easier with two different operation options. With our toggle option, a simple flip of a switch send the target back to a pre-determined distance, while our Smart Pad gives the shooter complete control over distance and movement. With the addition of our Deluxe Smart Retriever, which allows 180 degree turning action, the shooter or range master also has the ability to program and replay a series of target positions and turning actions. 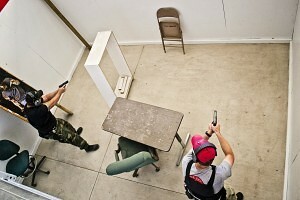 If your shooting range needs to facilitate tactical training, however, you may want more than just a static position in a stall. 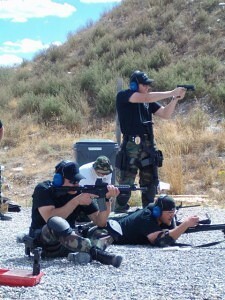 Proper tactical training requires realistic scenarios, which means shooter movement and target movement. 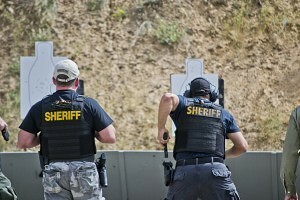 Training on moving targets hasbecome mandatory for law enforcement agencies across the country. Because running seems to be a part of most gunfights, the ability to fire safely and accurately at moving threats can be one of an officer’s greatest assets. 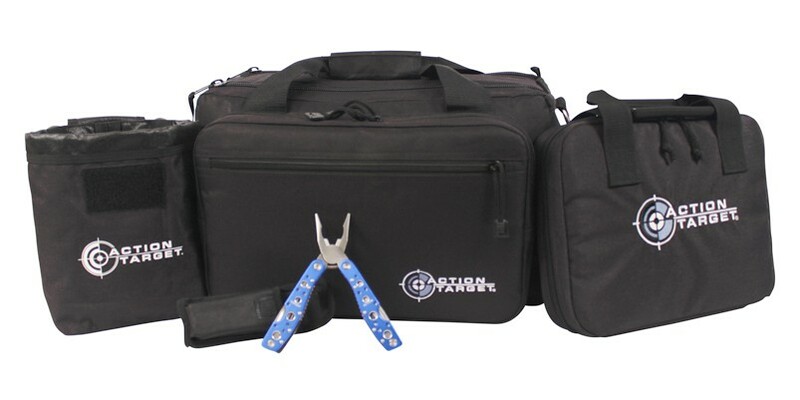 To better facilitate quality tactical training, Action Target provides two types of running man systems: the portable Runner family and the more permanent Track Runner. The portable Runner systems not only simulate horizontal running scenarios, but armed charging scenarios as well. 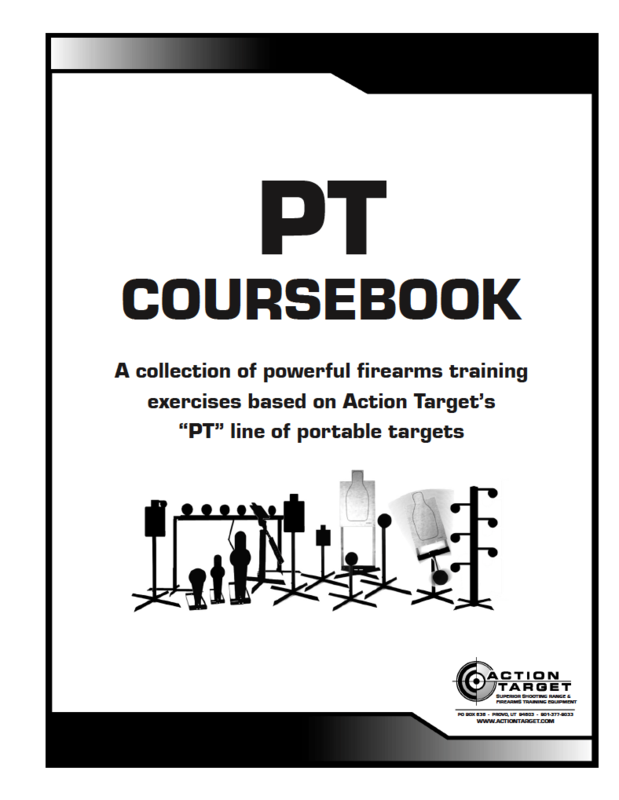 With two different portable systems to meet your budget and needs, running targets can easily be incorporated into your training program. The Track Runner provides the tools for a wide variety of situation with single or double track configurations, cardboard and steel target compatibility, variable speed and electric braking, and remote hand held control of movement. Action Target also provides turning targets to foster quick and accurate reactions with good guy / bad guy threat identification. Drawing and firing at a target you already know is a threat is fairly easy, but real life scenarios aren’t always so simple. To eliminate the inaccuracy of this scenario, law enforcement demanded targets that turn toward and away from the shooter at specific time intervals. Turning targets allow trainees to practice evaluating the target quickly while performing tactical maneuvers. 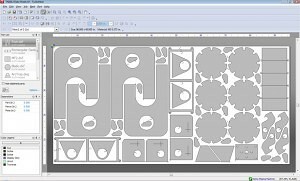 With six different turning target systems, Action Target can design the perfect system to fit your needs. 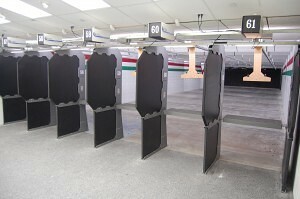 Ventilation is extremely important on indoor shooting ranges. Lead and other airborne toxins are introduced to the environment during shooting and can be hazardous to the health or your employees and customers if inhaled. 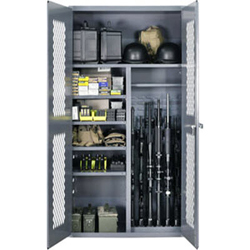 Any enclosed area where shooting is done must be properly ventilated in order to meet NIOSH, EPA, and OSHA standards. Installing a ventilation system for your range may be beyond the abilities of your friend George who does air conditioning. Improperly designed systems may just stir up the air rather than replace it. 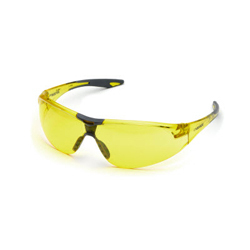 Action Target provides you with the best and safest ventilation system. 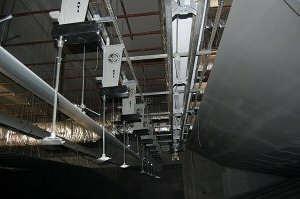 Our ventilation systems are the best-performing and most efficient systems available on the market today and are designed to exceed NIOSH, EPA, and OSHA air quality standards. 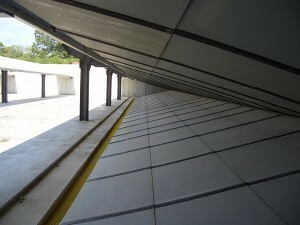 Through the use of a ceiling-mounted 180 degree air delivery system as well as digital and analog control systems which adapt to changing environmental conditions to maintain the required air velocities and building pressures, Action Target’s ventilation systems push and pull air downrange at a rate fast enough to completely replace the air within a large range in less than two minutes. The air then goes through preliminary filters to remove large impurities before passing through a HEPA filter to eliminate 99.97% of remaining contaminants, making the exhausted air even cleaner than the air outside. Sound abatement is one of those things many shooting range owners ignore initially and then wish they hadn’t when neighbor relations begin to decline. If your shooting range is near residential areas or if housing begins to develop around your range, proper sound abatement is absolutely vital to your future success. If too many people begin to complain about the noise level, you could be shut down permanently. 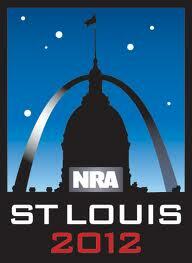 But sound abatement is not only important for the people outside the range, but for people inside the range as well. Gunshots have an extremely high decibel level which is only compounded on an indoor range when the sound waves bounce off the hard floor, walls, and ceiling. Ear protection is absolutely necessary on any range, but it may not be enough to protect your employees who spend hours and hours in the range every day. The constant reverberation of gunshots within an enclosed area can actually produce negative physical effects on the body other than just hearing loss. Prolonged exposure to high decibel percussive noise such as gunshots can cause nausea or fatigue if the reverberation isn’t properly dissipated. These problems can be easily avoided by limiting the length of shifts for employees working in the range and by installing proper sound abatement material. 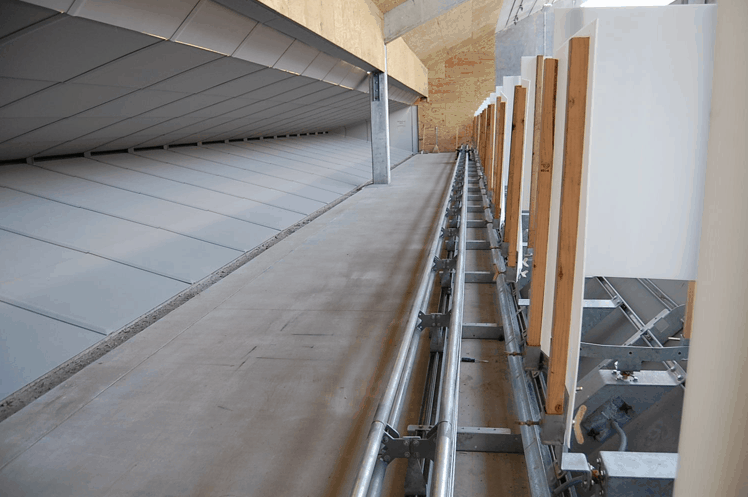 All ceiling and wall baffles installed by Action Target are covered with acoustic tiling to help reduce the amount of reverberation within the range. We’ve also teamed up with Troy Sound Wall Systems, the creator of the highest acoustically rated wall systems in the world, to bring you one of the most viable options on the market. 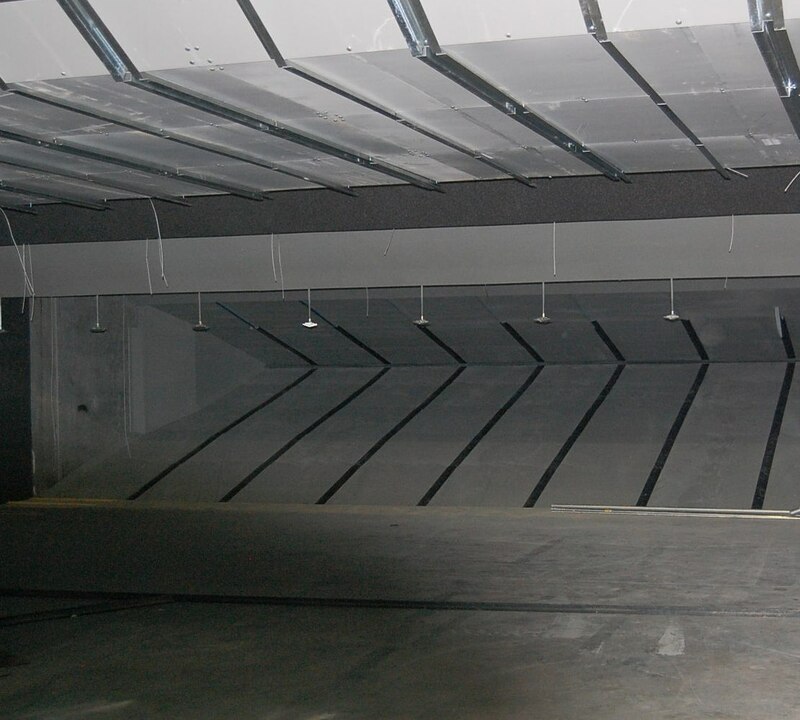 By installing the Troy Sound Wall System in ranges, we have managed to reduce reverberation by 98%. That’s 98% percent of reverberation you don’t have to worry about threatening the health of your employees and customers. Connect With us Via Social Media to Get Discounts and Win Prizes! 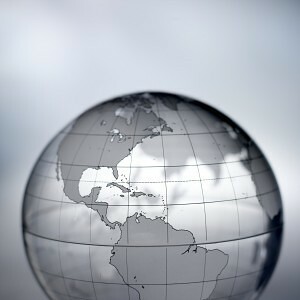 In an effort to be more connected with our customers and clients, we are revamping our social media sites. 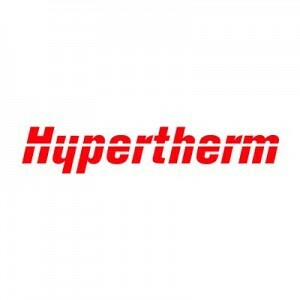 Now, when you connect with us on Facebook, Twitter, or YouTube, you can receive discounts on any order from our online store. 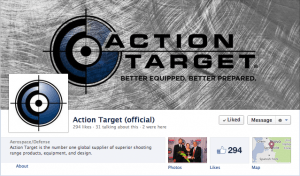 We will also hold regular competitions where you can win free Action Target gear and steel targets! For the month of September, we will be holding a contest to win a free Action Target Hostage !Details and updates can be found on our Facebook page. 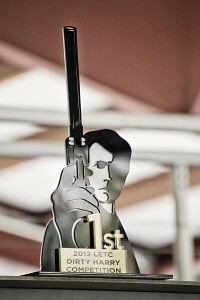 We care about what you think and we would love to hear your suggestions and see pictures of you shooting on our steel. Help us better serve you by connecting with us online. Anyone who has been to a quality shooting range knows it requires much more than a line drawn in the dirt and a few paper targets. 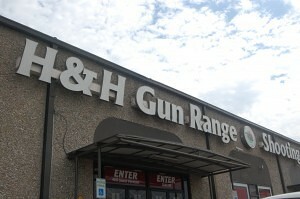 Great shooting ranges are designed to protect customers, employees, and the environment. Here at Action Target, we specialize in designing, manufacturing, and installing superior shooting range equipment to meet all of your ballistic needs from bullet containment to target retrieval systems. Quality matters when the safety of your customers and employees are in question, so don’t settle for good when your shooting range could be great with the help of Action Target. Bullet containment is the number one concern on any shooting range, and without the proper designs and equipment, it can be nearly impossible to ensure the safety of those inside and outside the range. Bullet containment basically comes down to two elements: bullet traps and baffles. 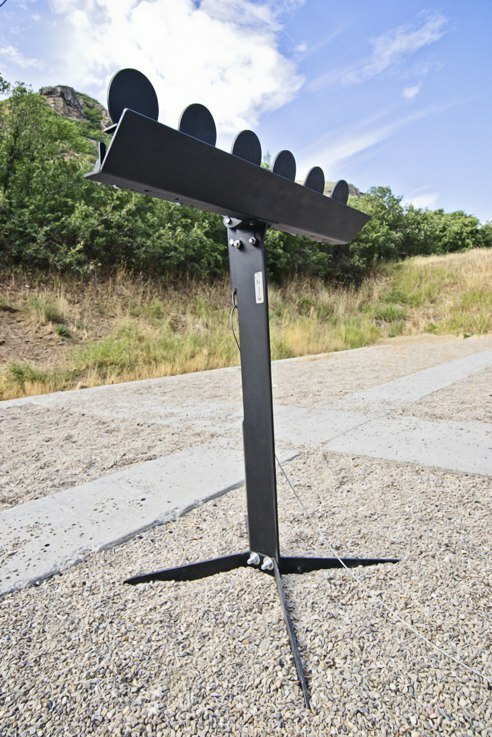 The bullet trap should be designed to stop any high powered round and handle the level of traffic expected at your range while safely collecting all projectiles for proper disposal. Any shot downrange should be stopped by the bullet trap, but safety baffles are also needed to keep bullets from exiting the ceiling of your range or ricocheting off the walls in the event of an errant shot. With the right combination of bullet trap and baffles, you can rest easy knowing no matter where a shot is fired on your range, it won’t have a chance to escape. 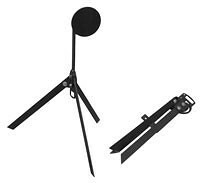 Action Target offers two different kinds of bullet traps, the Rubber Berm Trap (RBT) and the Action Target Total Containment Trap (TCT). A rubber berm trap consists of an angled metal plate covered in chopped rubber two feet thick. Action Target’s rubber berms utilize a patented combination of fire retardant and nonflammable adhesive to minimize fire danger and prevent migration. Being a softer collection medium, rubber significantly reduces ricochet and lead dust in some applications which makes it a great option for ranges that don’t see excessive everyday use. Due to the simplicity and relatively low cost of the materials used, a rubber berm can be extremely economical. But if you start having more shooters than you originally planned for, it can also become a wrench in your wallet. Rubber berms have to be cleaned and the bullets lodged in them mined every 80,000 rounds. Not only does it cost money to clean the rubber berm and replenish the chopped rubber periodically, but the more days you have to close your range for maintenance, the more money you lose. The Action Target Total Containment Trap can be a great solution to this problem if your daily foot traffic is able to balance the expense of installing and maintaining it. With two different types of lead removal systems, the TCT allows for varying levels of use and greatly diminishes the time you have to spend maintaining your shooting range. Essentially, the TCT is a giant armor steel funnel that directs every shot fired into a small gap at the rear of the trap. Once a bullet passes through that gap, it enters an elliptical deceleration chamber where it spins until it loses energy and falls into the collection trough through the bottom of the chamber. All of the lead is then collected and stored using one of two systems, the hands-free Screw Conveyor System or the Canister System. 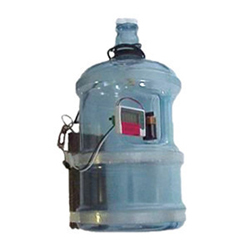 These two systems are designed to prevent lead exposure and make disposing of hazardous range debris as simple and easy as possible. The TCT is perfect for high traffic ranges, and when combined with our unique Dust Collection Unit, it is the safest and most environmentally friendly bullet trap on the market. 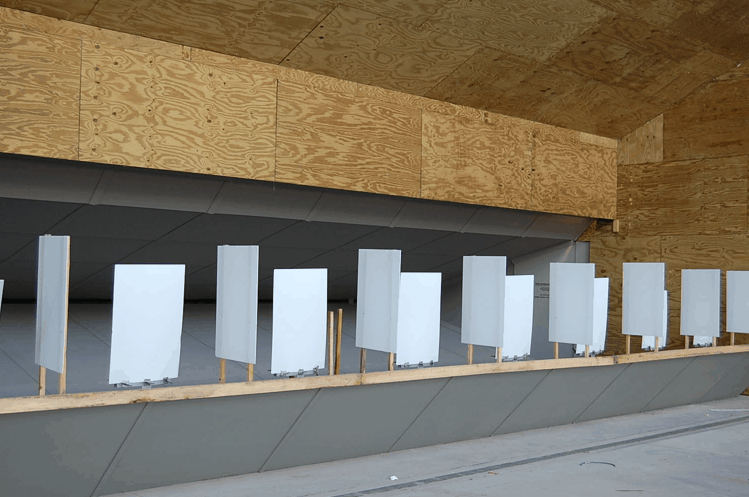 Safety baffles are often one of the most neglected areas of shooting range design, but they are absolutely crucial to the ballistic security of your range. 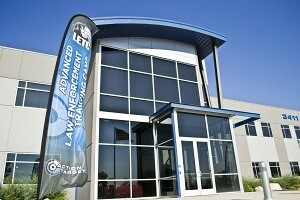 In addition to keeping fired bullets from exiting the range, baffles offer protection for overhead lights, pipes, ventilation ducts, and other structures. 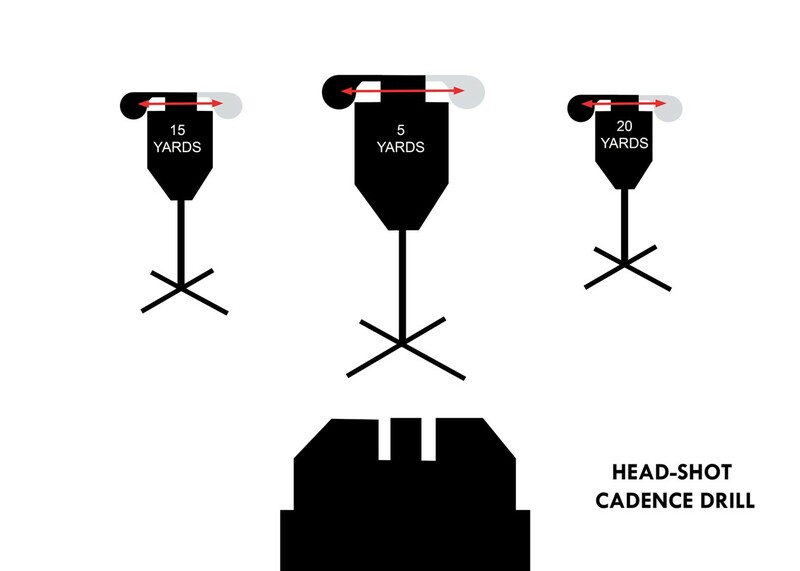 As much as you would like them to, shooters at your range are not always going to shoot perfectly straight, and when they inevitably hit the ceiling, you’ll be glad you had them installed. Action Target’s patented wall and ceiling baffles are designed to reduce noise, eliminate ricochet, and ensure complete bullet containment. Our baffles are composed of four layers: acoustic paneling, plywood, an air gap, and steel. 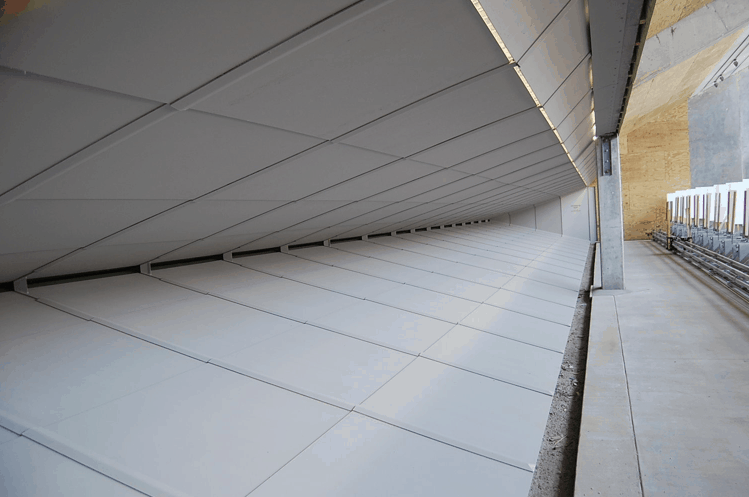 Acoustic panels are placed on the outside of our baffles to minimize gunshot reverberation within the range and prevent sound transmission beyond the range. Plywood is then used to contain shots fired into the baffle. Bullets can easily pass through these two layers, but once a bullet hits the steel and shatters, the plywood effectively contains the fragments. The air gap works as a buffer to allow the bullet room for fragmentation before bouncing back against the plywood. The most important part of the baffle is the steel plate. Action Target offers four grades of safety baffles ranging from 10 gauge steel to abrasion resistant armor steel to meet your range’s ballistic specifications and budget. If you know what ammunition and firearms will be allowed on your range, we can help you find the right baffles to complete it. 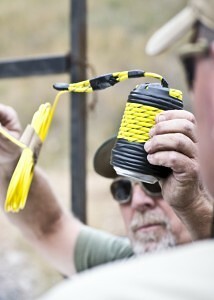 The type of training your range is expected to accommodate will dictate the configuration of your safety baffles. 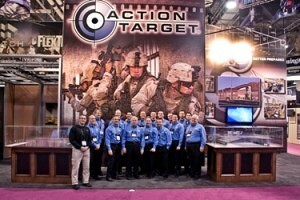 Action Target offers both static and tactical configurations based on the “no blue sky” principle. 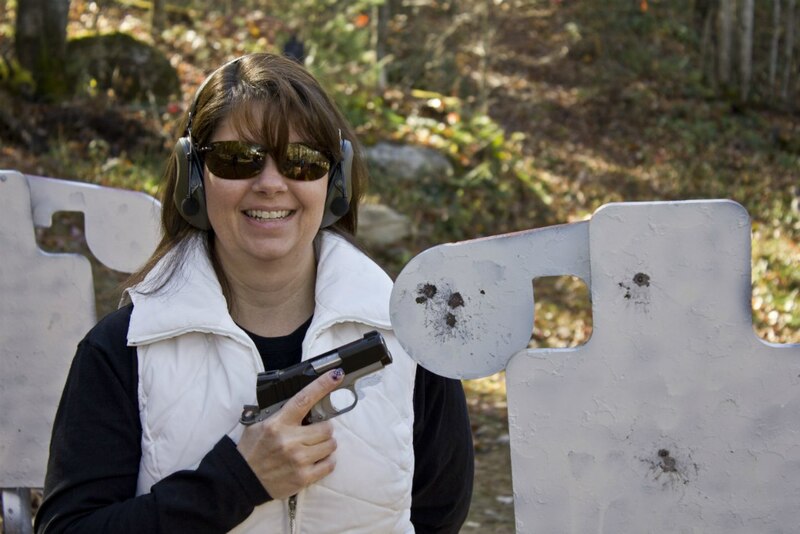 According to this principle, a shooter who is facing downrange on an outdoor range (though, this principle also applies to indoor ranges as well) should not be able to see any blue sky. If shooting on your range will only be from a static point on the firing line, the ceiling baffles are placed in a static configuration meaning they are spaced closer together near the firing line and further apart near the bullet trap. Even though there are large gaps between the baffles at the end of the range, no blue sky can be seen from the static shooting position at the firing line which means it’s impossible for a bullet to escape vertically. If your range is expected to accommodate tactical training where shooters will be moving downrange, having gaps in the ceiling baffles anywhere on the range isn’t acceptable. With a tactical baffle configuration, baffles are place close together and overlap one another so even if a bullet is fired straight up, a baffle will be there to stop it no matter where it is on the range. 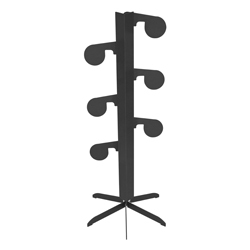 This tactical configuration allows shooters to move freely without any danger of rounds exiting the ceiling. 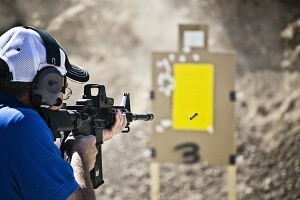 Wall baffles are also highly recommended if tactical training will be conducted on your range. While hardened concrete is balistically sound, wall baffles add an additional level of protection and completely eliminate ricochet while also decreasing reverberation within the range. Action Target is pleased to announce the release of the Sport Plate Rack . Now you can train like the pros without spending a fortune! The Sport Plate Rack gives you all the training benefits of our full-size Plate Rack for only a fraction of the price. With six 4” armor steel plates that fall when hit, shooting on the Sport Plate Rack provides instant visual feedback and reinforces accurate shots. And after the targets have all been knocked down, they can be easily reset by pulling the cable attached to the reset lever. The Sport Plate Rack’s no-weld design and reactive knock down action are ideal for serious target training, but the price makes it affordable for just about anyone. 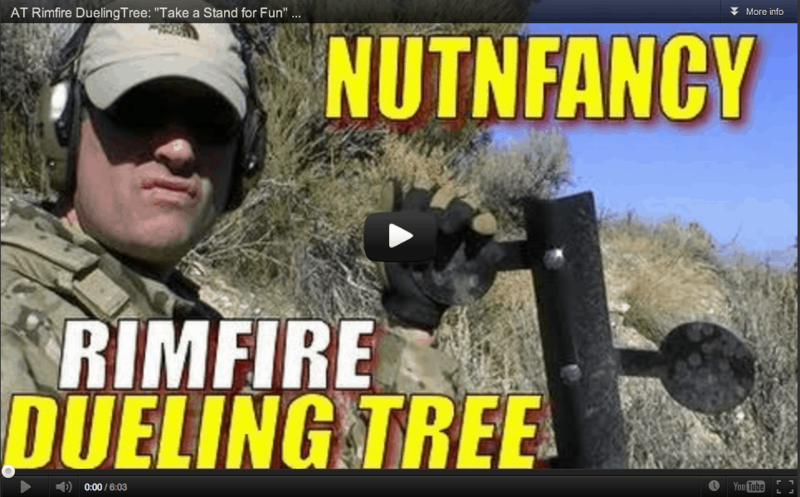 Because it is designed for .22 rimfire ammunition*, this target is also great for family outings, camping trips, or teaching children how to shoot. 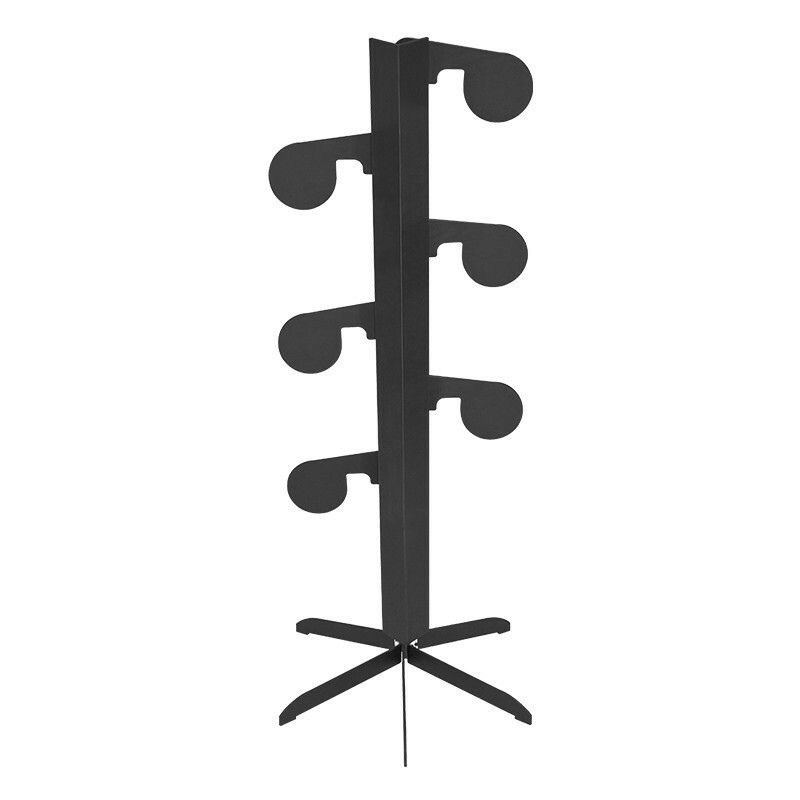 The Sport Plate Rack comes with a 30′ reset cable, your choice of a 1′, 2′, 3′, or 4′ stand, and six 4” target plates made of AR500 armor steel that can be easily reversed and interchanged without tools. *The Sport Plate Rack is made of 1/4” thick AR500 armor steel and is designed for use with .22 rimfire ammunition only. 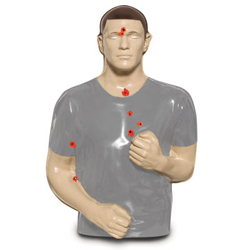 Using ammunition other than .22 rimfire may result in damage to the target. Order your Sport Plate Rack today! With the end of this fiscal year right around the corner, now is the best time to obtain one of our innovative training solutions with your remaining budget. At Action Target, we understand that each company’s internal dynamics have different needs and time lines. That is why weapons training units, Rangemasters, firearm instructors, and others associated with their organization’s training division continually reach out to us during this critical time of year. Spending your remaining training budget at the end of a fiscal year – to minimize the risk of losing it next year – sometimes takes creativity. Last year, we worked with an agency whose training budget consisted of five different accounts. Each account had varying levels of funds still available requiring an invoice for each one. 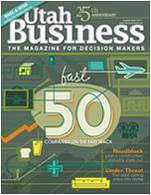 With a little strategic planning, this agency placed five different orders with Action Target that were shipped at same time but charged to their different training accounts. Our dedicated sales staff helped this agency with their complex purchase and provided them with the equipment they needed. We are ready to do the same for you. Whatever your training needs, we have the solution. If you are under a significant time constraint, we can help. Call us today and let our sales staff help you maximize your remaining budgets by providing the best training solutions available. For product requests not available through our online store, please contact the Range Consultant for your geographic territory. 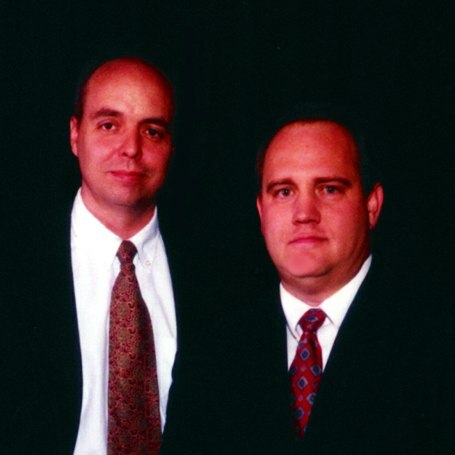 They will work with you to stretch those last few budget dollars into your training solution. Go online or call today!